This project was the renovation of a 7,500 square foot existing commercial building into six design studio spaces. The front one third of the existing building is two stories with the rear portion being a single story with 12-foot high open web trusses. The rear three units are linked from storefront by a walkway/gallery. 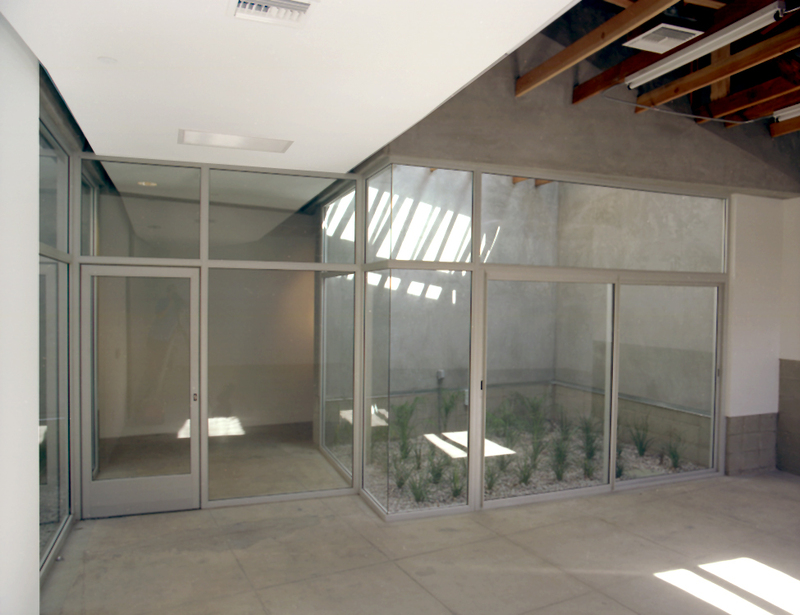 Each of the 3 rear studios feature a glass-enclosed atrium.